Go into the flight with realistic expectations. You are going to be trapped in an aluminium tube with a bunch of strangers for the better part of an entire day. Know that it will be a long trip and that you won’t sleep much and if you it won’t be restful! Be prepared to eat airplane food and use airplane bathrooms. It’s not going to be the greatest 15 hours of your life, but with the right expectations it can still be a positive experience. 15 hours is a long time, and no matter how much you dislike airplane food, now isn’t the time to be picky. You need to keep your energy up and be prepared to step off the plane as nourished and hydrated as possible. Eat the meals, or at least what you can of them. They will bring by snacks throughout the flight, try to pick out something that you can eat. If you truly despise airplane food then you should bring your own snacks. You can’t go 15 hours without eating. Work, Watch TV and Read… First. While you still have energy, get things done. 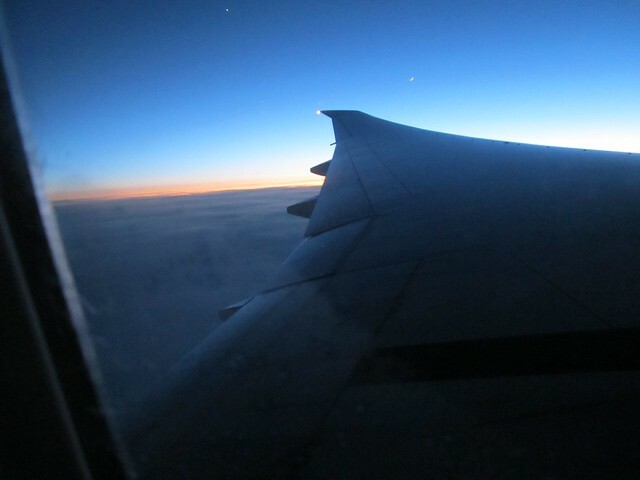 Use the first 5 or so hours of the flight to do work that you want to accomplish. You will still have energy and your mind won’t be as groggy, so if you have any plans to be productive, do your thinking right away. 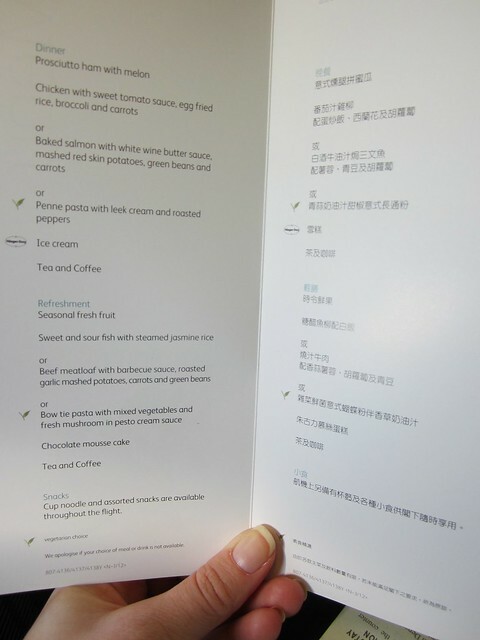 Typically they will offer you a meal and a drink right at the beginning of your flight. The lights will be on during this time making your body feel like it wants to stay awake. Once the lights go off and everyone else starts sleeping your body has a harder time discerning between day and night and your eyes will get heavy. More water than you think you need. Flying already dehydrates you and since you are in one seat for 15 hours most people tend to not refill their cups or water bottles. There is almost always a place near the kitchen where you can refill your water on your own. This will not only have you drinking more water but will force you to get up and move your legs more often. Don’t be afraid of the lavatory. If you are hydrating correctly you will need to use the restroom multiple times every few hours. I personally pick the aisle seat on long flights for this very reason. I plan on drinking as much as possible, so I know I will be needing to get up and down constantly. Hopefully these restrooms will be cleaned properly, if not don’t hesitate to let your stewardess know so you will feel more comfortable. Yes, I am encouraging you to be those random few people who get up and walk around, or even stand in the common areas or food stations. During our last 15 hour flight we both stood together drinking water 2 separate times for 25 – 30 min each. We even went as far as to do some basic stretching! Sitting in those chairs for such a long time can cause serious cramps and tighten your muscles causing pain for days after your flight. So please get up, every 2 hours at least and walk. Go to the bathroom, refill your water or just head up and down the aisle once. Ignore the weird looks other passengers give you, you will be better off in the long run. Try to sleep – at least rest your eyes. Not everyone can sleep on planes. I have bad memories of Josh taking medicine that was supposed to help sleep and he still couldn’t fall asleep which left him extremely groggy and grouchy. 🙂 I don’t suggest taking any pills, but after you have worked hard and eaten… 7 or 8 hours into your flight shut down all of the lights and sounds around you and close your eyes. If you fall asleep then great!, but if not, at least you have taken the time to rest and listen to music. Sometimes on longer flights there are empty seats. Move to one of these and stretch out over 3 seats to lay down. Even if you don’t sleep your body will thank you for at least making a good effort. 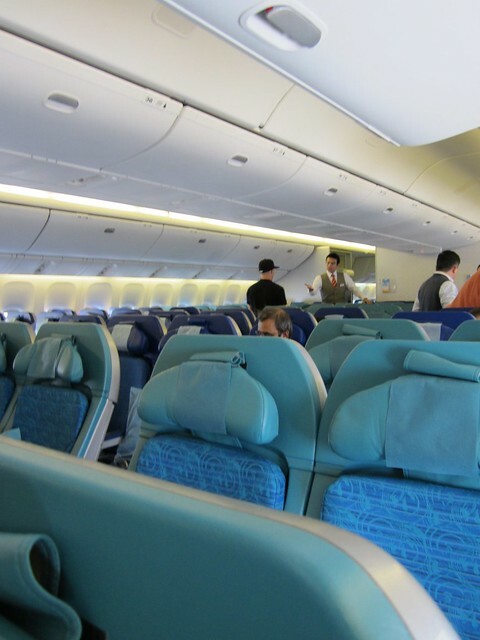 Whether you are able to score a luxury seat in first class or are slumming it like us in Economy, hopefully these tips will help you survive your long haul flight. Let us know how you handle long flights in the comments! -As suggested drink lots of water while on-board and leading up to the flight. -As suggested get up and walk around at least every 2 to 3 hours and do seat exercises to help avoid blood clots (Deep vein thrombosis). – If possible try and get flights that get you to your destination with a few hours of sunlight Get out in that sunlight for a walk. In the evening go to bed fairly early but after dark. The sunlight helps to reset your internal clock and the dark motivates your internal clock to start making melatonin. About 30 minutes before you go to bed take some melatonin. We have found under the tongue (sublingual)type works best. The recommended dosage is about 1 mg. per hour of time change with a minimum of 3 mg (for short trips) and a maximum of 10 mg. for those bum numbing 14 hour flights through many time zones. Really looking forward and a little excited for my trip to Australia. But I am dreading getting there and the return flight. 3hrs to LAX 2 Hr lay over then 15 hrs to Sydney. Return 2Hrs to Brisbane – 3 hr layover – then 13 Hrs to LAX -2 hr layover finally 3 Hrs home.